Ben Carson, who also ran for president for the 2016 elections, has been chosen by President-elect Donald Trump to lead the Department of Housing and Urban Development. Carson is a retired neurosurgeon with no government experience who will be in charge of improving American cities’ current state. After his presidential bid had ended, Dr. Carson was an early endorser of Trump, even after he ridiculed him several times during the campaigns. Carson lost the presidential race in March and since, he has become Trump’s surrogate on television. According to Carson’s close friend, Armstrong Williams, the now Secretary of the Department of Housing and Urban Development and Donald Trump became close after the doctor did not make it through the presidential campaigns. Mr. Williams said that they “both have grown,” adding that Carson has “tremendous respect” for Trump, reports The New York Times. It was also Mr. Williams who stated that Carson felt he has no government experience, which did not stop him in accepting the post which oversees a $47 billion budget in housing policy. Carson thinks government programs encourage dependency, saying in his biography that individual effort is the key to overcoming poverty, not government programs. Carson’s views on house policing could threaten the real purpose of the Department of Housing and Urban Development since the agency’s goal is to provide political aides for five million income families. During his campaign, Ben Carson stressed his opposition to numerous government programs which aimed to end poverty. 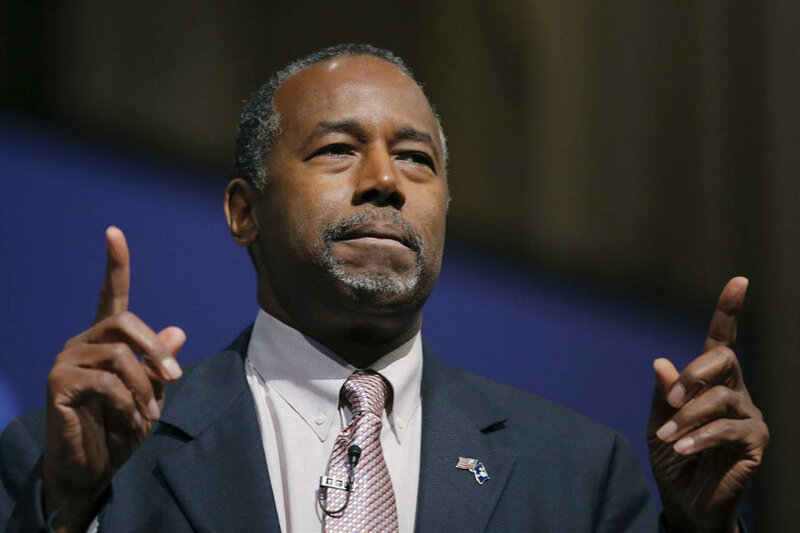 Carson stated churches and other community initiatives have the responsibility to take care of homeless people, claiming they are not the government’s job. If the Senate confirms Carson, he would be the unofficial ambassador to African Americans to help them improve the inner cities where they live, which is also at odds with Mr. Carson’s ideas. Ben Carson opposed several anti-segregation policies during his campaign and criticized Obama’s administration for using regulatory powers to improve racial integration in housing. Many Americans are concerned since the nation’s most vulnerable could be left out during Trump’s administration if Carson runs the agency based on the views he has expressed during his political career. Also, the Trump family has been accused of segregating black people from their properties in the past. “With many qualified Republicans to choose from with deep knowledge of, and commitment to, affordable housing solutions for the poorest families, and with the housing crisis reaching new heights across the country, Dr. Carson’s nomination to serve as HUD Secretary is surprising and concerning,” stated Diane Yentel, president of the National Low Income Housing Coalition.